Green Writers Press, 9780996267670, 292pp. Geographer, adventurer, environmental educator, 2018 TED Fellow and National Geographic Society Emerging Explorer Dr. M Jackson studies and writes about glaciers and climate change worldwide. Seeking to understand the wild diversity and complexity that exists between people and ice, Jackson lived for a year on the south-eastern coast of Iceland, chronicling in The Secret Lives of Glaciers the cultural and societal impacts of glacier change on local communities. Jackson interviewed hundreds of Icelanders living in close proximity to ice, seeking to understand just what was at stake as the island’s ice disappeared. Painstakingly detailed, Jackson recounts stories of glaciers told by people throughout the region, stories exploring the often conflicting and controversial plasticity of glaciers, the power glaciers enact in society, the possible sentience of glaciers, and the range of intertwined positive and negative consequences glacier change produces throughout Iceland. The Secret Lives of Glaciers reaches beyond Iceland and touches on changing glaciers everywhere, revealing oft-overlooked interactions between people and ice throughout human history. The Secret Lives of Glaciers delivers a critical message: understanding glaciers and people together teaches us about how human society worldwide experiences being in the world today amidst increasing climatic changes and anthropogenic transformation of all of Earth’s systems. 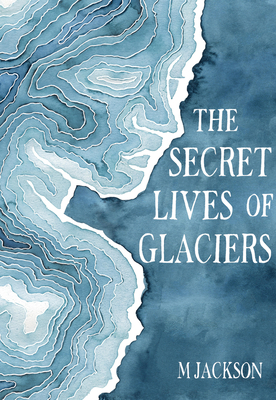 Instead of creating another catalogue of all the ice the world is losing, The Secret Lives of Glaciers explores what we may yet find with glaciers: hope for humanity, and the possibility of saving this world’s glaciers.